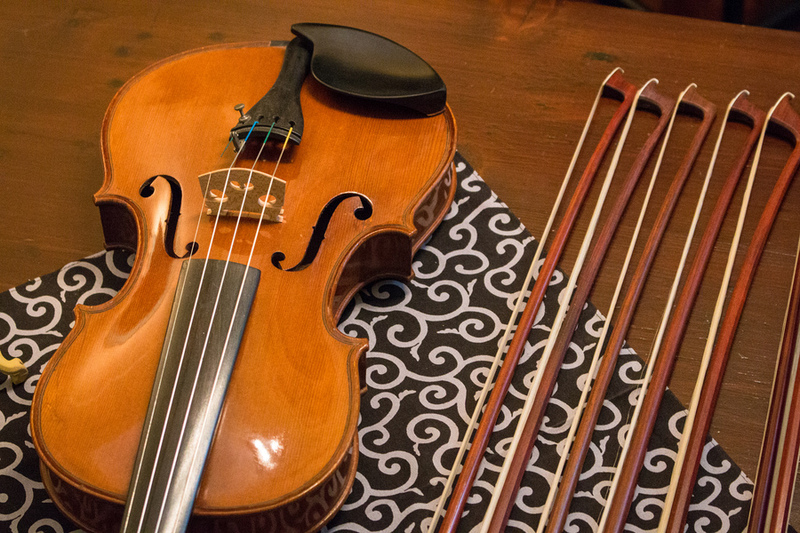 This one-of-a-kind Stradivari violin is worth a pretty penny. In fact it's so much, I can't bear to show all of it. I’ll be honest. I had never contemplated where violins were born. Nope, it never crossed my mind. But this is what I love about travel – it opens up new experiences that I may not have jumped at previously, but sneakily managed to capture my fascination and imagination in unexpected ways. 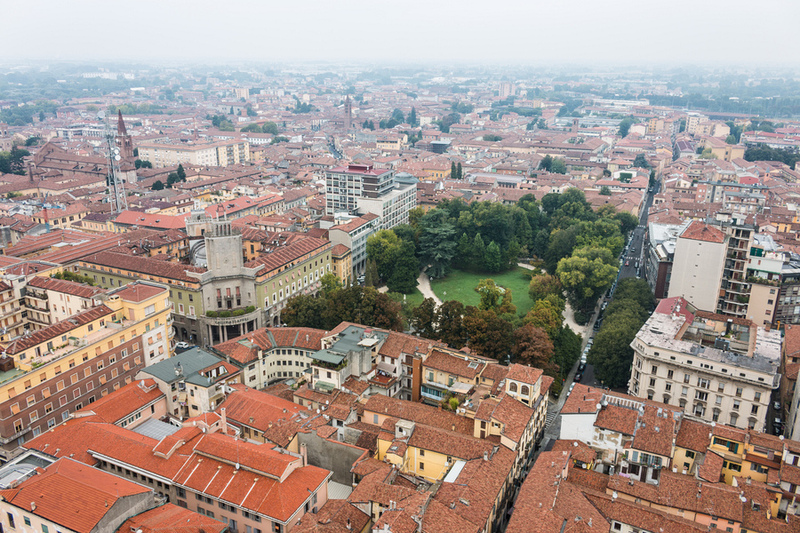 Situated in the beautiful northern Italian province of Lombardi is the town of Cremona, home to 70,000 residents and 160 violin workshops. Yep, that’s a lot of workshops. 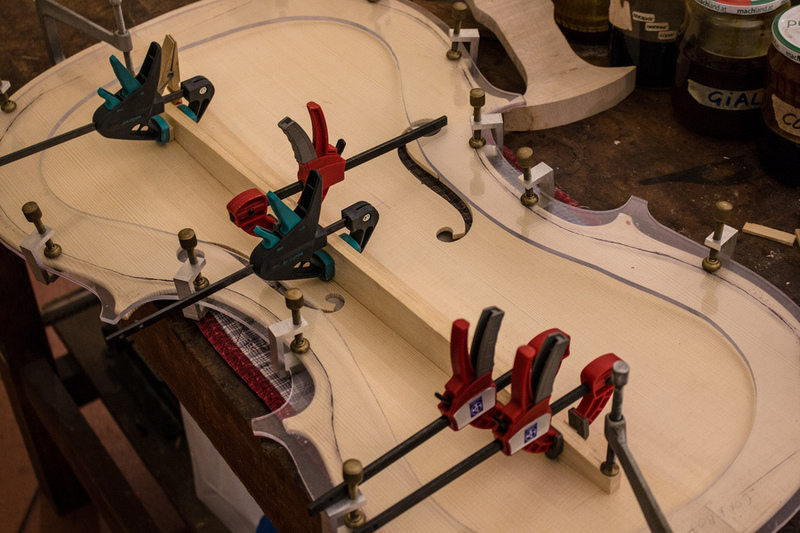 This town is known around the world as the birthplace of the modern violin and still home to the best violin makers in the business. 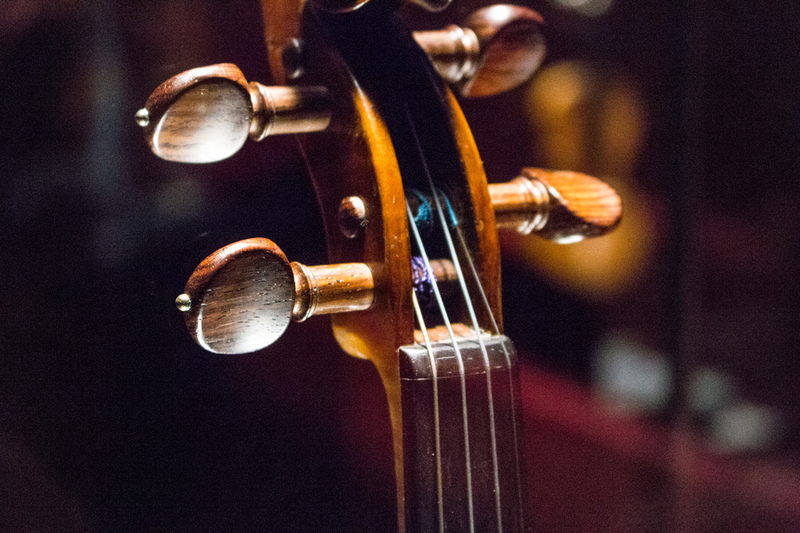 In the early 16th century a local craftsman, Andrea Amati, designed a ground breaking stringed musical instrument which went on to change the face of music forever. The craft is amazingly meticulous, from selecting the perfect timber, to honing the shape, to lovingly applying layer upon layer of custom-made varnish. Every instrument is handcrafted to sky-high standards. 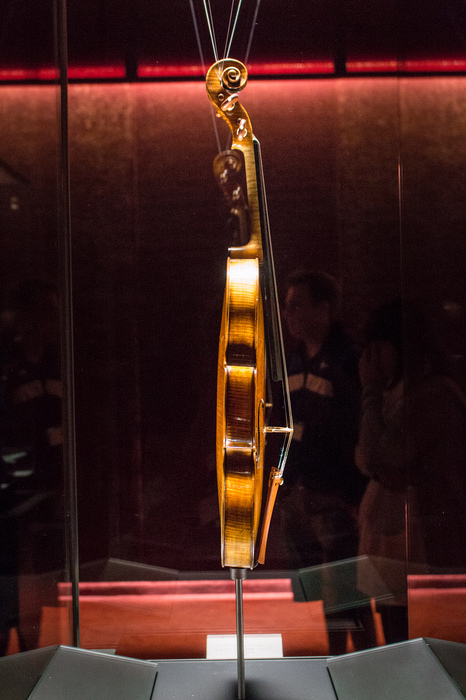 I visited the aptly named Museo del Violino (Violin Museum) in the centre of town, which amongst other things, exhibits a collection of unbelievably valuable violins. 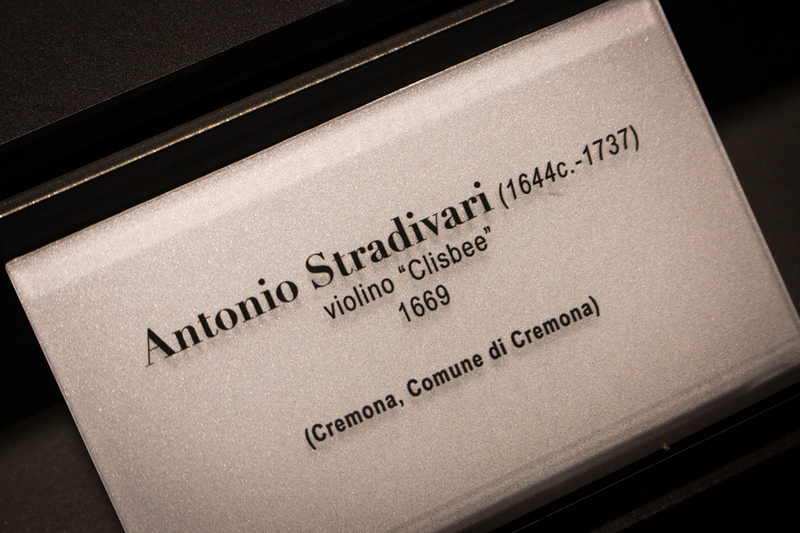 The “hall of treasures” is the pinnacle of the museum with beautifully displayed masterpieces by the very craftsman who have shaped the music we listen to everyday like Andrea Amati and his famous protégé Antonio Stradivari. As a lover of classical music I admired these instruments of unequalled beauty, but even the casual visitor has to be impressed – if not for the boundary-pushing craftsmanship, then at least the mind-boggling price tags. Realistically, the instruments in this collection are not for sale, so you can put your credit card away. 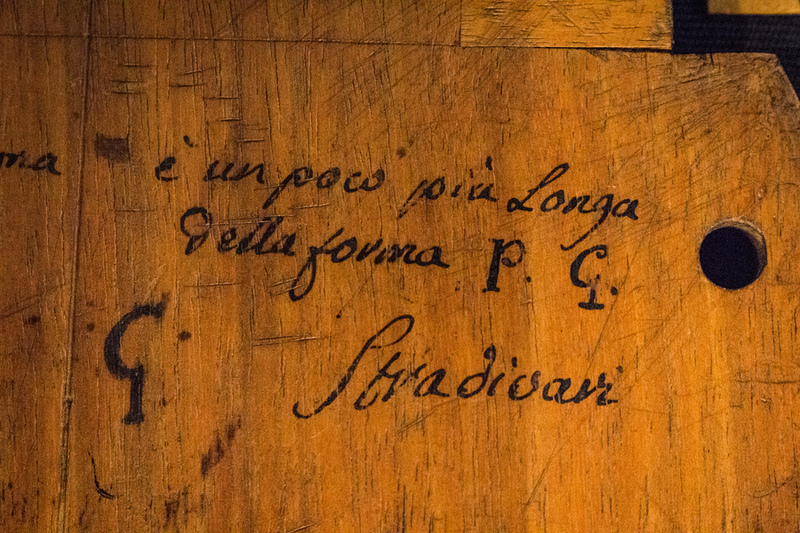 But they have been appraised and valued, and the final violin in the hall, a Stradivari masterpiece, sits proudly in it’s spotless glass cabinet with a valuation of €5 million. 5 million euro-smackeroos (*Dr Evil pose*). That’s a lot of cheddar. I’ve thought about what I could spend that dosh on. A fleet of private jets. 100 Porche cars. A giant luxury yacht. A private island. 1000 sharks with lasers on their heads (*another Dr Evil pose*). The remainder of the museum is equally as interesting and cleverly designed. 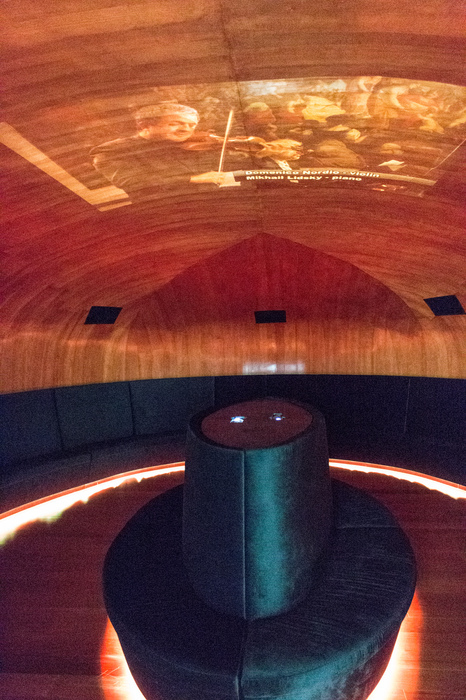 I enjoyed the room, which provided an experience that felt like sitting inside an actual violin and watched a symphony, complete with all-surrounding music, projected on the ceiling. The original woodworking instruments used by the earliest violin makers are on display which really elevates their ability. 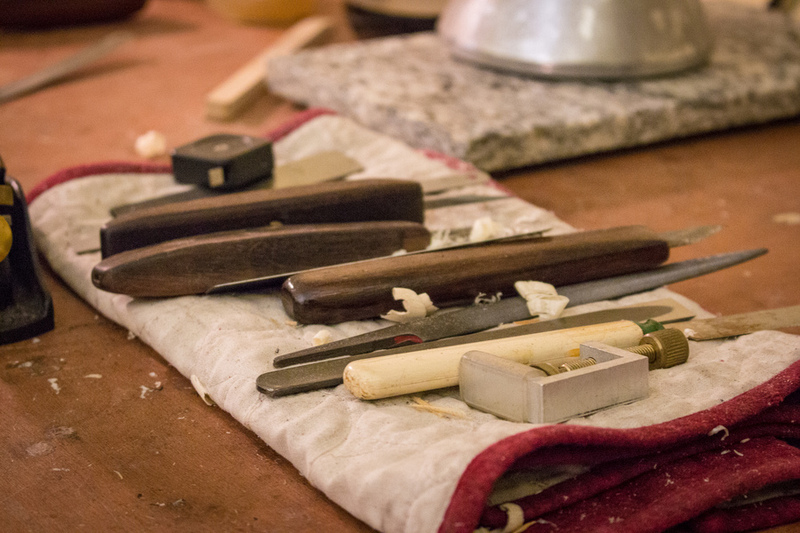 The tools look so simple, almost archaic, yet the end product was incredible. 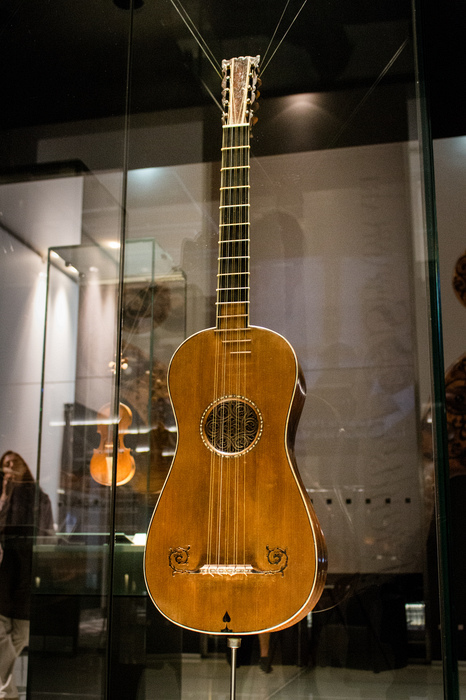 Naturally, other instruments are on display, such as cellos and guitars. The museum contains a series of informative panels which take visitors through the history of the region and musical instruments it is now known for. 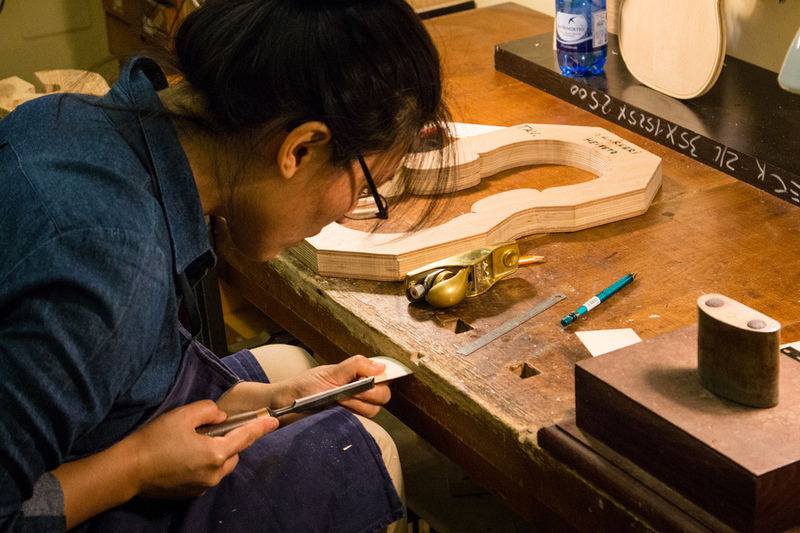 To complete the violin experience, I visited a real violin workshop. Now this particular one doesn’t usually take visitors off the street, so if you do wish to visit then sending a request via email in advance is a good idea. However, there are other workshops that cater for tourists. The workshop of Edgar Russ was located down a non-descript laneway with only a small sign above a solitary doorway to hint what magic was occurring within it’s walls. I had the privilege of personally meeting Edgar and his team. 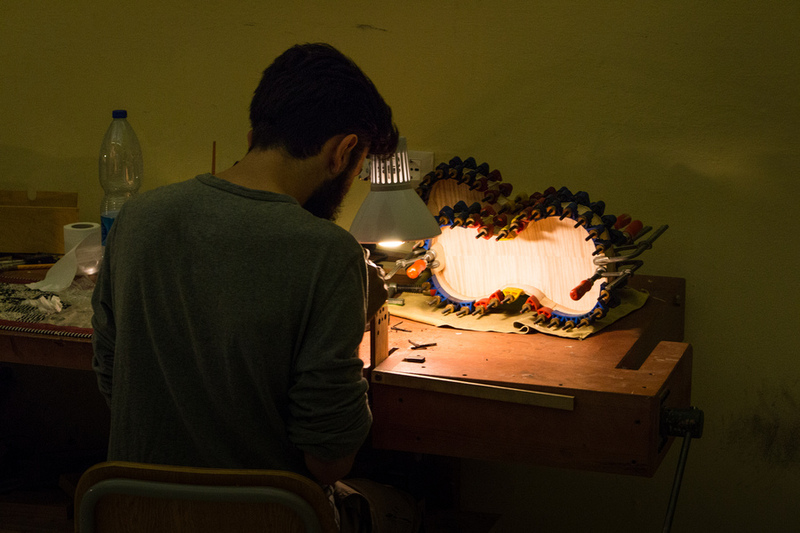 He explained his background and shared details about the processes used to craft the instruments. He was very relaxed and friendly, and made the visit all that more enjoyable. His staff quietly worked away at their stations with soft music playing in the background. His journey from a budding woodworker to a master craftsman was fascinating. Now his pieces are played by at least 7 members of the Vienna Philharmonic Orchestra – the highest aspiration for any violin maker. Having recently visited Vienna, Austria and explored its museums and history of classical music, this trip in Italy really connected the dots for me. 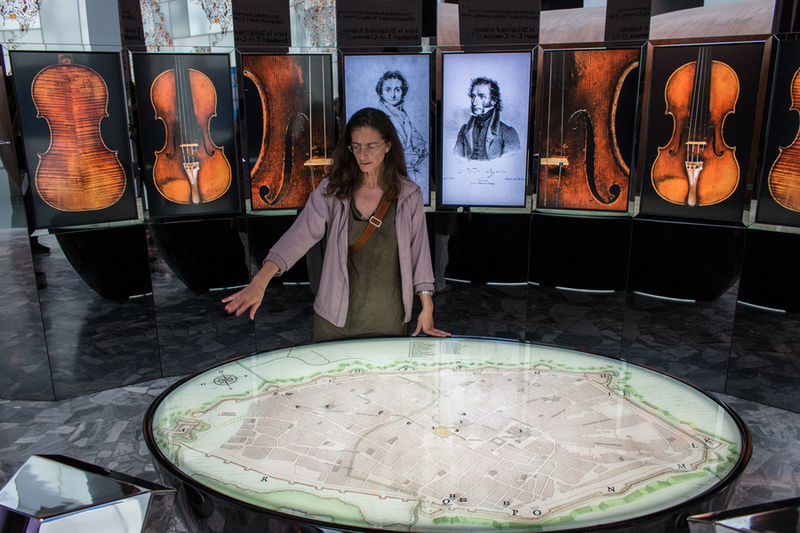 This one town gave birth to new, exciting musical instruments that went onto inspire the greatest classical musical geniuses of all time – Mozart, Beethoven, Strauss and more. Music would not be the same without the town of Cremona. I now have a much deeper appreciation for the art and science of violin making -something I didn’t expect before this visit. 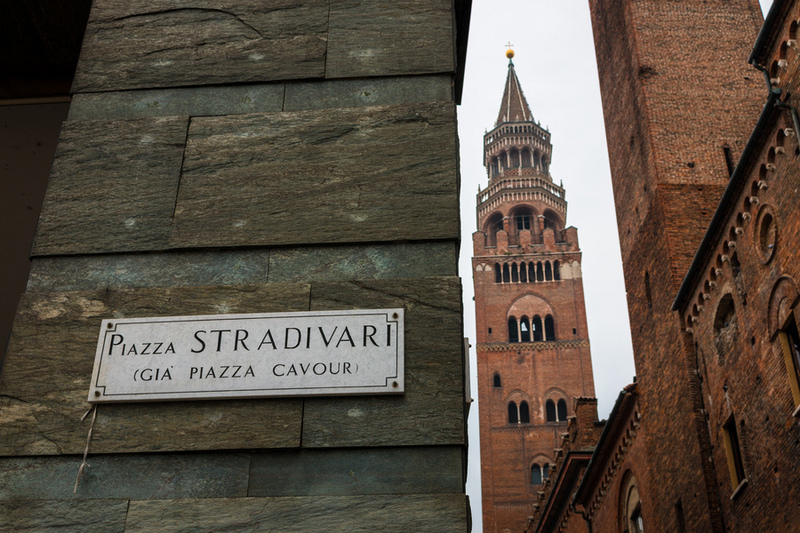 But the gorgeous town of Cremona is definitely a memorable part my trip in Italy. Without hesitation I’d highly recommend a visit. And even if music isn’t your cup of tea, you’ll still want to visit the museum just to cast your eyes on the shiny bit of wood worth €5 million. Holy schnitzel, €5 million! But hey, Stravidari's are so rare and exclusive. I can really understand why these masterpieces are worth so much money. I also am an admirer of music (in all kinds) and museums (or is it musea...) so I enjoyed reading this article very much. 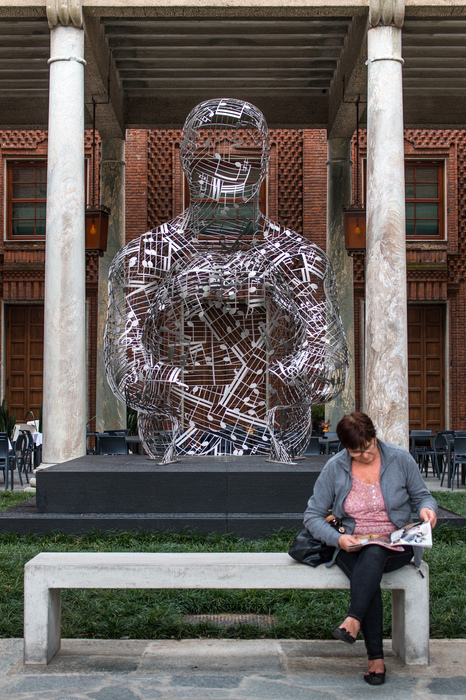 Definitely worth a visit when browsing around in Lombardia. Thx & cheers, Jempi. What an unusual but gorgeous post! I love music, although I don't play anything ..well the recorder for a year or two at school. A good friend of ours is a wonderful musician however, and he was lucky enough to meet someone on Facebook who custom made a beautiful guitar for him. I think this is such a special skill. 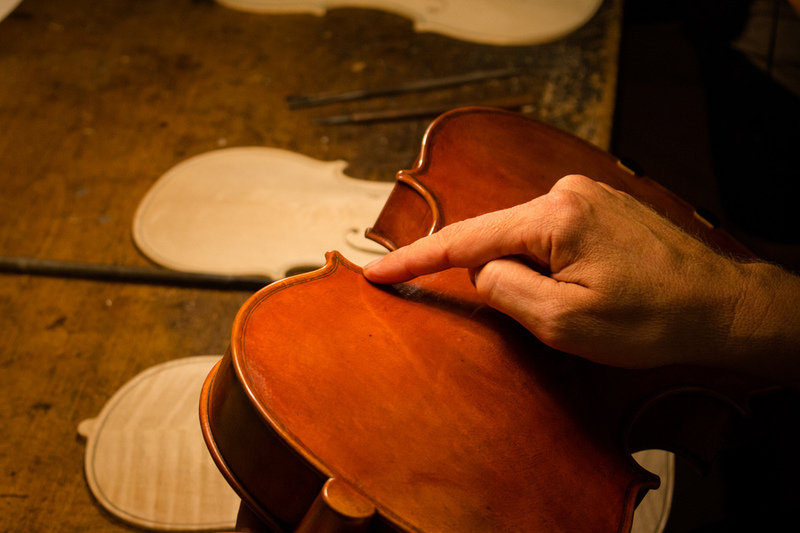 Wonderful tour, I enjoyed your narration and the visit to the museum...what a treat to visit an actual violin shop and see all the amazing craftsmanship that goes into producing one of these instruments...Italian artistry at its best. @Paul I was very patient :-) There were other visitors around the museum but I tend to wait to take the shot once distractions are out of the way. I love the way you have featured the craft process of making a violin and treated the Stradivarius like the pieces of artwork they represent. I knew they were pricey, but wow! 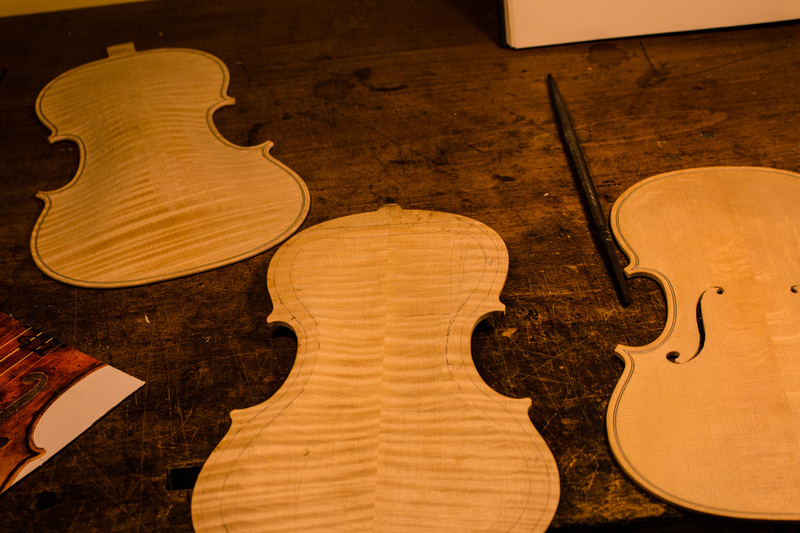 Very cool that you got to see the process of making a violin. But 5 million Euros? Yikes! Sounds fascinating, although I do think it's a bit of a shame to lock the Stradivarius behind glass rather than ever play it.